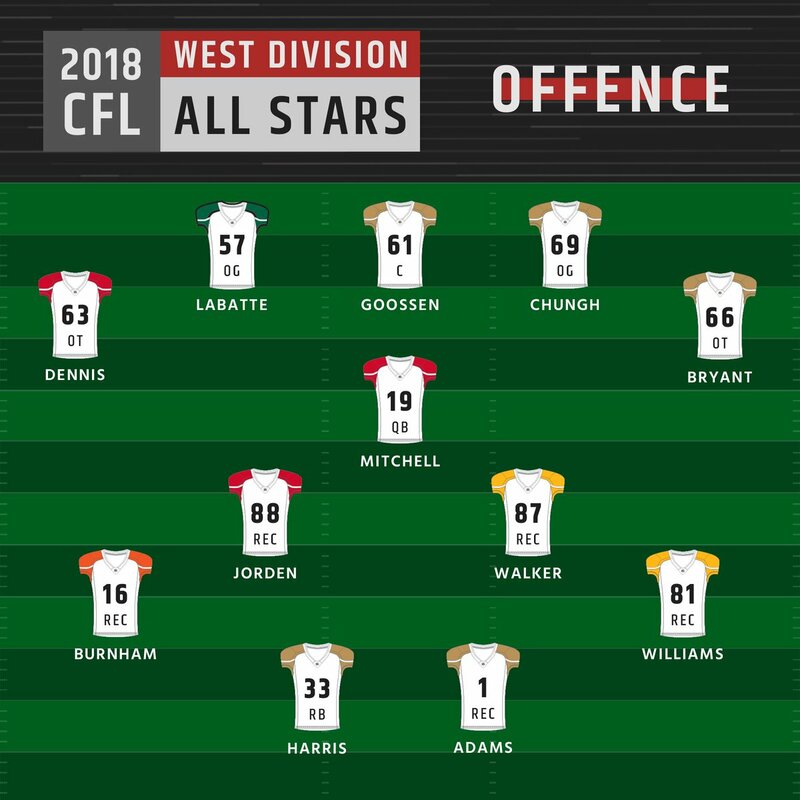 The CFL has announced the Division all stars and we lead the way with 7 players. Could someone please copy and paste to the link at CFL.ca I am on my phone right now. TORONTO ? The Canadian Football League (CFL) announced the 2018 East and West Division All-Stars on Wednesday. The Ottawa REDBLACKS lead the way with 11 All-Stars and the Winnipeg Blue Bombers and BC Lions lead the West Division with seven each. Serious question....How does Loffler make the western all-star team? I sort of thought that except for a couple of occasions, he was MIA this year (last year, too). I am not sure why Masoli gets the nod over Trevor Harris. Harris has incrementally better stats, but a better winning percentage. Also it is kind of shocking that Walker and Jordan make the all-star team with 10 and 11 games played. they are both great talents, but its clear durability isn't a criteria. Bombers o-line has the solid rep, feel like Hardrick got snubbed a little. If they specified LT and RT, I am sure he would have been in. Totally agree on Hardrick. Somewhere a WIL got ripped off, JSK imo, because of two MLBers being selected as well. 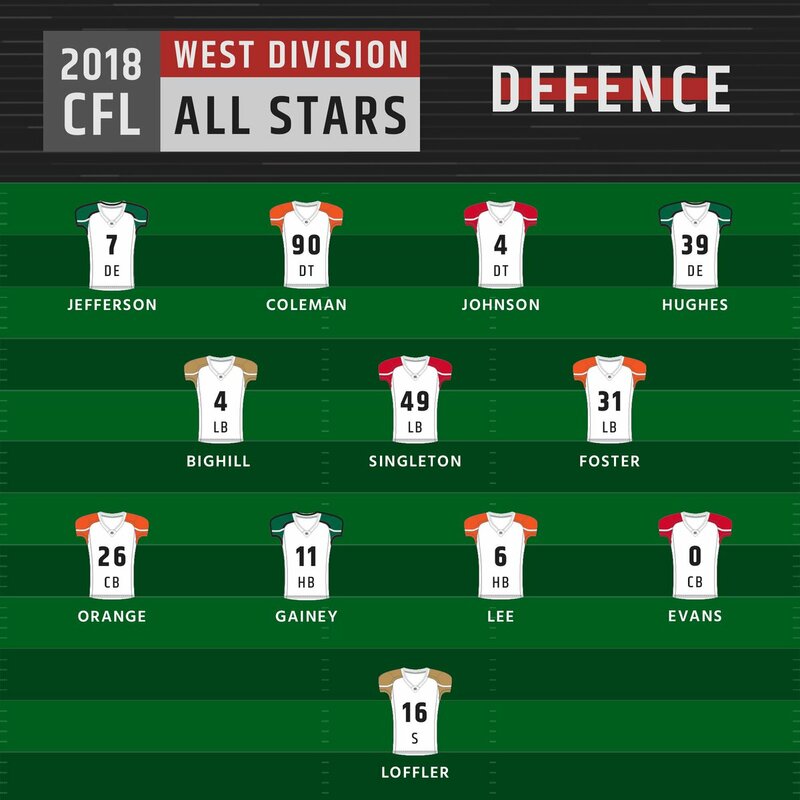 Here are your 2018 #CFL West Division All-Stars on Offence and Defence. Interesting. It seems odd to lead the division with 7 all-stars yet finish in 4th place. Not really. Every Blue Bomber selected had excellent individual campaigns. That's what being selected as an all-star is all about. There's no correlation to where a team places (the Bombers finished 3rd, BTW). Not really. Every Blue Bomber selected had excellent individual campaigns. That's what being selected as an all-star is all about. There's no correlation to where a team places. The Bombers make sense to me. I was talking about the BC Lions. Generally a 4th place .500 team doesn't lead (or tie for lead) in allstar selections....especially when 4 are on defense when they were not very good at all with only Edmonton in the same ballpark discussion when it comes to worse defense in the division. Only Montreal and Toronto gave up more points. Oh my that Oline looks good! Well, your math is still wrong. The Lions didn't lead with seven all-stars; there are five. And again: all-star nods are based on individual performance, not the team's overall performance or its final record. Points allowed is hardly the only metric to consider, anyway. Hope he has a DD when he goes to celebrate. BC had 7 if you include the 2 on special teams. Math is just fine. I will reiterate my point, with so many individual honours, one would expect a separate outcome. Simply, at the beginning of the season someone would have said a team would lead in allstar nods one would expect that team to do well.